You're not spoiled for choices, as there are only SA Express and SA Airlink flights from Johannesburg to Pietermaritzburg. Be flexible with your travel dates to try secure a cheaper flight. Alternative it's about a 5 hour drive over the 488km, and there are numerous buses which service the route. 27 Jan 2015 SA Airlink has increased their flights to Pietermaritzburg. Flights from Monday to Friday will depart JNB at 15h30, 17h00 and 18h15. Flights from Pietermartizburg to Johannesburg will depart at 14h00, 17h00 and 18h25. Weekend flights will stay the same. There is one flight on a Saturay and three on Sundays. 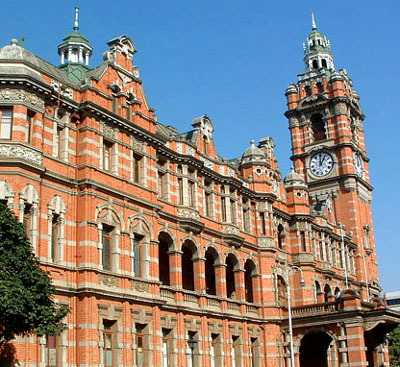 On 27 Sep 2013 It's announced that SA Express flights from Johannesburg to Pietermaritzburg are being launched on 1 Nov 2013. There will be 2 flights per day from Mondays to Fridays, and another on Sundays. Flights are in DH4s. 10 Nov 2011 Airlink emergency landing at O.R. Tambo, after the JNB-PZB flight's landing gear malfunctions. Airlink jet services now comprise 3 out of its 4 daily JNB-PZB flights (operated in the Avro Regional Jet). South African Airlink reintroduces its later return departures from Johannesburg to Pietermaritzburg, on Mondays to Friday and Sundays. The flight departs Johannesburg at 18h35, arriving in Pietermaritzburg at 19h55. Translux offers a bus service from Johannesburg to Pietermartizburg. Click to find Pietermaritzburg hotels, B&Bs and guest houses.